This topic contains 4 replies, has 3 voices, and was last updated by BooksTraveler 2 weeks, 3 days ago. As you can see on your promo shots on your own website, standalone headers and captions and images in epub books DO NOT CENTRE, despite being HTML coded to do so. This is a fundamental and very very disappointing bug in an otherwise promising piece of software. It makes the software useless and unsuitable for use in professional presentation situations. What is the problem in allowing simple images and headings, correctly coded in HTML, to be centred? Why on earth overide this?? All is working on other epub readers, including ADE and Calibre. First of all, thank you very much for your feedback, it is very appreciated. I will check this issue, you are right, actually if the images and headings are HTML-centred we would expect to have it really centred. I’m afraid there is something in the format that’s not allowing to do so. This reply was modified 1 year, 3 months ago by admin. Thank you for your fast reply, I look forward to hearing about any fix for this. 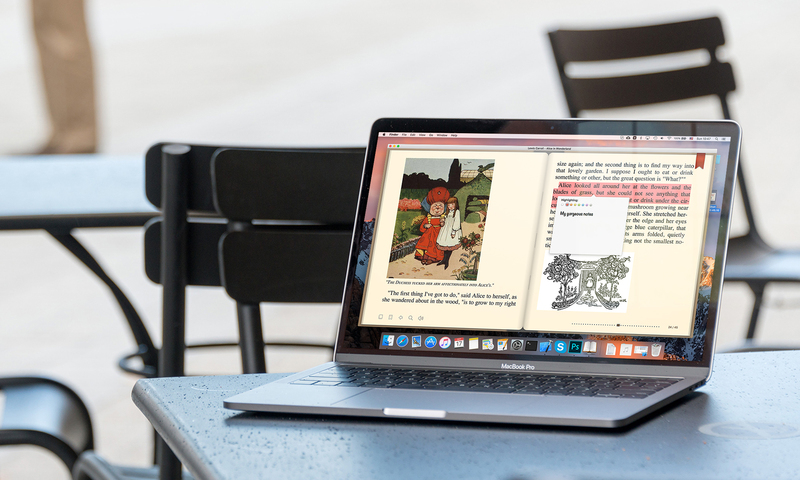 I prefer BookReader to all other reading apps because you have made great attempts to create a life-like reading experience. It is the only ereader like this. 1. Add an animation for the COVER – so the COVER image of the epub file is placed on the ‘cover’ of the book in BookReader, like a real book. So after you see the cover, the book ‘opens’ and then you go to the first page. Right now the cover is INSIDE the book when you view it – the cover should be on the FRONT of the book. 2. A page number at the bottom of EACH page, centred or maybe at outside edge of page, like a real book. 3. A ‘running head’ above the main text on each page (maybe at 70% font size of main text), displaying the title of the book (but not on ‘new chapter’ pages). It is a good experience using your app. I have this problem too: BookReader is the only reading app i know which doesn’t respect the “center” html command. So i decided to don’t buy BookReader until the problem is solved. – Side note: It doesn’t detect that the .epub file have changed, each time i wanna test the changes made to my ebook i have to delete it from the bookshelf, i would like to suggest that your app should have a “test mode” or “developer mode” which detects all the changes made to a book in real time. What BookReader does? Not only it doesn’t center where it should, but it – SPLITS – my title page in two! Whaaaat?